Travel is meant to be relaxing, so why does it stress us out? During my recent trip to Africa, on my quest to run a marathon on every continent, I noticed three resources that I constantly used. As I traversed 8 countries and travelled the equivalent of twice around the globe, these three tools helped ensure that this potentially problematic trip was a zen like experience. T-Mobile USA – Having access to the Internet when you traveled internationally used to be a costly privilege. Now T-Mobile includes it for free, as standard. Imagine being able to use Google Maps to check your location or avoiding having to play Russian Roulette with the restaurants you go to as you can now find highly rated ones nearby using TripAdvisor. For just $50 a month, T-Mobile provides free data and text messaging in 140 countries, as well as free inflight texting and WiFi calling. Uber – Using a taxi in a foreign city can be frustrating experience. Not only do you have often have to haggle, making sure that you have small bills to pay but it also involves being ever vigilant, ensuring that the meter has been turned on and you are not getting ripped off. Uber allowed me to support local entrepreneurs in South Africa and Kenya, many who had arrived as immigrants. As I drove with them, I spoke to each person about their unique stories and their plight. One driver in Cape Town told me about how he had his car stolen at gunpoint on his way back from the airport! Having Uber, gave me the freedom and security to know that I had access to transport anywhere and at any time without being ripped off. 3. 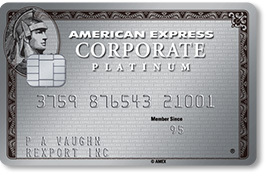 American Express Platinum Card – Initially I was sceptical of the $450 annual fee for this credit card. After having had the card for just 2 months, I can see it’s value already. I had been waiting for my Global Entry to expire before applying for this credit card, as American Express will pay for your application fee. In addition, each year you are given $200 in airline credit, which I used to buy 4 x $50 American Airlines gift cards. In 2016 I can do the same, providing me with a total of $500 of credit. Another amazing benefit of this card is the free Priority pass membership and the exclusive American Express Lounge Access. While I was in Africa, I had a number of long flights and connections. Having access to a lounge meant that I could freshen up, taking a shower, and also stock up on free alcoholic drinks, food and complimentary wifi. Having an oasis like this in an airport is a huge benefit, reducing stresses and allowing you to relax in an otherwise stressful environment. Buying access to a lounge can often cost at least $50. I have used this card in lounges in at least 10 times in cities, saving me over $500 already. As well as the amazing benefits listed above the card also provides, travel insurance, Hilton and SPG status and free Boingo Internet. What services, tools or resources make your travel easier? Co-Founder of Satorio.org. Aspiring adventurer, entrepreneur and philanthropist. An Englishman in North Carolina. Running marathons one continent at a time.